Effectiveness Indicators: First Call Resolution, Calls/Resolved | The Taylor Reach Group Inc. In the recent years, First Call Resolution (FCR) has become a buzz word in the contact center industry! Everyone is talking about it and it appears that everyone is working on improving the results in their center. Everyone agrees that this is an important aspect of a contact center, however, many organization still struggle with the basic definition and measurements of FCR and we all know that if you cannot measure it, you cannot improve it! In short, First Call Resolution is the concept of providing high quality service in order to resolve the callers issue on the first call (or other methods of contact as the case may be). The concept of increased call quality is certainly not new, however, in the last 20 years, the focus has shifted from internal measurements (how we deliver services) to external measurements (how customers view and receive our services). To this point it has been generally accepted that it is the customer that defines Quality! 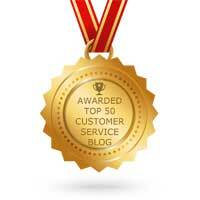 Moving forward what is the most important aspect of customer satisfaction? Study after study has indicated that the most important factor in customer satisfaction is Resolution. Customers contact an organization because they need to resolve an issue. The issue could be as simple as getting general information (such as an address or hours of operation) or as complex as such as setting up a detailed account for high value services (i.e. obtaining a mortgage or an insurance policy) and of course anything in between. In all these cases, the customer – who defines the quality – expects to have resolution with minimum contacts (first contact?). Before we can start talking about measuring and improving the FCR results we need to define FCR as it relates to each organization. For example, if we need to transfer a customer call to a different group (or escalate to higher level of support), is this still considered a first call (the customer has only made one call, however but may have to explain his or her issue to more than one person)? How about situations when the caller does not have all the required information to proceed with the call and has to call back to provide additional information? What about situations where the agent provides information or a solution even though they know it is unlikely to resolve the customers issue? Unfortunately the answer is not simple and each organization must define its own definition aligned with its‟ customers‟ expectations. A call may be considered resolved from an FCR perspective in one center and not in the next. This lack of a universal definition for FCR is one of the reasons why FCR and its results are not routinely reported in more contact centers even though almost everyone agrees with its importance! Measuring FCR (or more accurately the difficulty in measuring FCR) is another challenging point for many centers. The measurement must be aligned to the definition that is created, with emphasis on tools and techniques that are available to the organization. There is no question that customers are the best source in providing such measurement but surveying customers could become a costly exercise. if they have contacted the center within a predefined time frame and then to route the call to a specified agent, team or to a questionnaire that asks if this is related to their previous contact. To complement these internal measurements, a short customer post call survey (either automated or live telephone survey) can be implemented to gather customer point of view as the issue was resolved on the first contact or not. Unfortunately this is not a perfect method either as customers may have their own definition of resolution, and those who feel the issue is resolved will be less inclined to participate, thereby skewing the results.. In one particular study several customers indicated that the call was not resolved since their first call was after the company‟s business hours and therefore they had to call a second time!! Regardless of the methodology used in measuring and calculating the FCR, it is recommended that the results not to be considered as absolute but rather relative to previous results. In this approach the methodology will always be consistent and any improvement (or set back) can be quantified. The limitation is when comparing or benchmarking results from one organization to another. As mentioned, FCR measures the percentage of calls that were resolved during the first contact. It is generally assumed that the higher percentage of FCR indicates the higher quality of the calls and higher customer satisfaction. Well, that is not necessary correct!!! The problem is that we do not know what happens to the calls that were not resolved during the first contacts!! Who tracks Second Call Resolution? Do these remaining callers get their resolution during the second contact or do they have to make multiple calls for the same issue? In essence, how many calls does it take to resolve an issue (by “issue” we mean any customer request)? To provide a complete picture, a second indicator is introduced. “Calls per Resolution” is the average number of calls made to resolve an issue. Since no contact center is perfect, this ratio will always be higher than 1.0, however, numbers closer to 1.0 indicate that majority of callers get their resolution within the first or second call while higher numbers indicate more multiple calls (and as a result more frustration for customers and lower customer satisfaction). Of course this metric also provides an tangible measure of the level of „rework‟ in the call center and show the number of calls that can be eliminated ( and the cost of these calls saved) through a more effective FCR process. Even with these two measurements, it is possible for a few customers to end up with significantly higher number of calls. For this reason, it is best to keep track of repeat callers to make sure that the customer‟s issue is dealt with in a timely manner (very similar to the longest wait time in a queue versus service level and ASA). Every organization attempts to simplify its‟ internal procedures, the fact remains that there are certain barriers to providing FCR. When pressed, companies offer various reasons (from customer privacy to legal issues) for this and indicate that these barriers are simply a fact of doing business. We will discuss the impact of these barriers and potential process re-designs to minimize their impact in the next section, but for now we need to consider the effect of these barriers on the FCR results. Most contact centers divide their incoming calls into certain call types. A detail analysis of call handling for each call type would reveal those barriers and potentially an entirely non FCR call type. These are situations where the procedure – and not the agent – is responsible for lack of FCR. The effect is that the center is starting with a handicap (as related to FCR) and can never achieve 100% FCR! Analyzing the call handling with focus on FCR not only creates a better picture of what needs to be improved (more discussion on this in the next section) but would also indicate what is the best possible FCR result that a center can achieve under the current processes and procedure (called Upper Limit or Ceiling). The importance of this limit is that it differentiates between the role of the contact center personnel versus the company‟s policies and procedures. In many cases the contact center has no input to the policies and as a result may feel helpless in improving the FCR results. What a can a contact center do to improve their FCR results? We already know that the first steps are to develop an appropriate definition, measurements and analysis of call handling in order to quantify the FCR Ceiling. What comes next is a detailed analysis of calls versus FCR results for each call type. Call types can then be classified as Achieved (those with 100% FCR), Achievable (those that should be 100% FCR but are not), Potential (those that require changes in procedures to achieve FCR) and finally Non-FCR (those that truly require more than one contact). Matching these results with the percentage of calls in each category will provide a ranking of where a center should concentrate its improvement initiative to generate the maximum payback (getting the biggest bang for the buck). The above categories also point to what improvements are required. In case of Achievable, the emphasis would be on training and coaching. On the other hand, Potential requires a redesign (or simplification) of internal procedures. In those cases where policies are the cause of barriers, the organization must take a deeper look at the reasons for those policies. First Call Resolution is not only important to customer satisfaction but also impacts the contact center operations by significantly reducing the call volumes. Any reduction in Calls per Resolution ratio means fewer calls and perhaps a better service level or even reduced operational expenditure. It is challenging to measure and to improve FCR, but the rewards – satisfied and loyal customers as well as more efficient operations – are well worth the challenge. Follow Taylor Reach and Turaj Seyrafiaan on Twitter at @Taylor_Reach and @TurajSeyrafiaan. To find out more about how Taylor Reach can help your company with [TOPIC], CLICK HERE to schedule a free consultation.